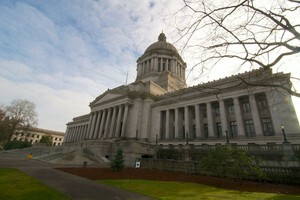 What's On Tap At The Washington Capitol This Session? by Austin Jenkins Follow Northwest News Network Jan. 7, 2018 12:30 p.m. The Washington Legislature is set to open it’s 2018 session on Monday. The 50 State Project from CQ Roll Call asked Austin Jenkins to come up with the top five issues facing Washington lawmakers this session. Washington state lawmakers will likely have to come up with an extra $1 billion for schools when they convene in January 2018. In November, the Washington Supreme Court issued a unanimous order that said the state is not on track to fully fund public schools by a self-imposed deadline of Sept. 1, 2018. Specifically, the justices said the legislature is failing to fully fund a new teacher and staff salary model until the 2019-20 school year—a year after the court’s deadline. To make up the shortfall by next September would require an additional $1.1 billion. The justices warned that if the Legislature doesn’t act in the 2018 session to resolve the funding gap, “the court will immediately address the need to impose additional remedial measures.” The court is already fining the state $100,000-a-day for non-compliance. This is the latest chapter in a decade-old school funding case known as the McCleary case. 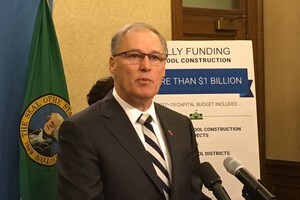 Washington lawmakers adjourned last July without passing a $4 billion capital construction budget to fund classroom construction, improvements at state mental hospitals, environmental clean-up and myriad local projects. This lack of a capital budget is unprecedented. 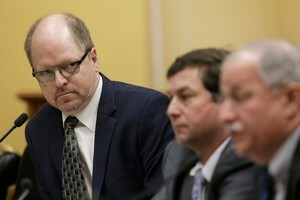 The budget was ensnared in a fight between House Democrats and Senate Republicans over how to address a Washington Supreme Court decision that limits new drinking water wells on private property in many parts of the state. Senate Republicans said without a “fix” to that court ruling, there could be no capital budget and held firm to that position. Negotiations continue on the well drilling issue while Democrats, who will control both chambers in January, say passing the capital budget is a top priority. 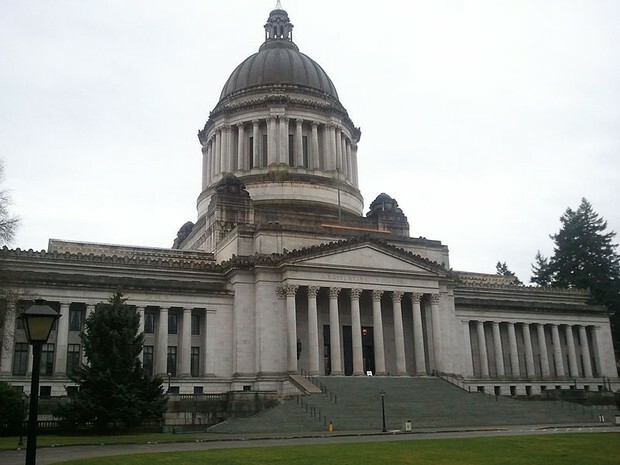 Women who signed a “Stand With Us” anti-harassment letter to Washington legislative leaders in November say they want a “safe, neutral space” to formally and informally report allegations of misconduct. Currently, reports of misconduct go through the House or Senate administrations, which the women say can be a deterrent to reporting. It’s not clear what a new reporting process would look like, but backers say the goal would be to make victims feel safe and supported if they decide to file a report about harassment or assault. In recent weeks, women who work in and around the Capitol have said they experienced a range of conduct over the years from inappropriate comments to lingering hugs to pats on the bottom to forced kisses. All firearms will be banned from the Washington state Senate public viewing galleries when the 2018 legislative session begins on Jan. 8. Lt. Gov. Cyrus Habib, a Democrat who serves as the president of the Senate, issued that order in December. In doing so he extended a previous order banning openly-carried guns in the Senate galleries. That open-carry prohibition also applies to the House galleries and committee hearing rooms, although the ban on all guns will only apply to the Senate galleries for now. Washington is one of 23 states that allow guns in the capitol building, according to the National Conference of State Legislatures. Meanwhile, legislative Democrats, who now have one party control of Olympia, may pursue “gun safety” legislation, including a ban on so-called bump stocks that make semi-automatic rifles fire more like an automatic rifle. But any gun-related legislation is unlikely to succeed without bipartisan support. After years of trying, Washington Democrats hope 2018 is the year they can muster the votes to pass a state voting rights act. They’re optimistic because they’ve just won the majority in the state Senate and, with it, one-party control of Olympia. The state voting rights act aims to remedy instances of “polarized voting” and increase minority representation in elected offices. The act would allow members of a protected class, such as racial minorities, to file a lawsuit to force a city, town or other “political subdivision” to move from at-large elections to district-based elections. Before litigation could commence, a city or town would have 180 days to “remedy” the situation. The Washington proposal is modeled after a 2002 California law. Supporters point to the city of Yakima, Washington which moved to district elections after a 2014 federal Voting Rights Act lawsuit. In the 2015 election, two Latino candidates were elected to the city council. Previously no Latinos had been elected to the council even though Latinos made up about a third of the voting population. Opponents say the voting rights act would lead to more lawsuit against cash-strapped local governments.